Stedman revolutionized material preparation for the brick, clay and ceramic industries by introducing more cost-efficient processes. Millions of dollars have been saved industry-wide over the last 20 years due to decreased maintenance, lower wear parts cost and lower initial costs for grinding room equipment. Increasing productivity and decreasing maintenance is always at the top of your work list and ours too. We understand that time management is crucial to a successful business, creating saved dollars and a safer work environment in the process. Robinson Brick is known throughout the industry for trying new and innovative things with their equipment. 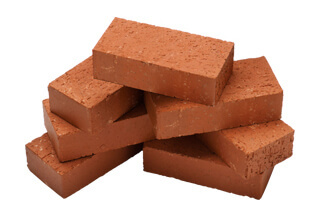 In 1998, it became the first facing brick manufacturer in North America to be registered under the ISO 9001 standard. It continually upgrades its production operation, paying careful attention to quality. When their hammer mill crushers were taking too much downtime to fix, they turned to Stedman Machine. Not only was Robinson satisfied with the machines, they were pleased with the quality of service provided by Stedman. Whenever we need assistance, Stedman has been right there. The Stedman guys know what they are doing and we can get a hold of them during off hours and on the weekend. We are very pleased with the Stedman impactor. It was the right choice. It has eliminated grinding downtime in a big way. A Positive Impact - A new impactor has significantly reduced downtime and increased production efficiency for General Shale - Robinson Brick Co.
One of the variables affecting the reduction ratio is moisture – just one variable we evaluate in testing. See our Testing and Toll Processing Facility brochure for additional testing information or contact one of our sales staff. To learn more about what to expect from testing, read this article that ran in POWDER BULK ENGINEERING magazine.